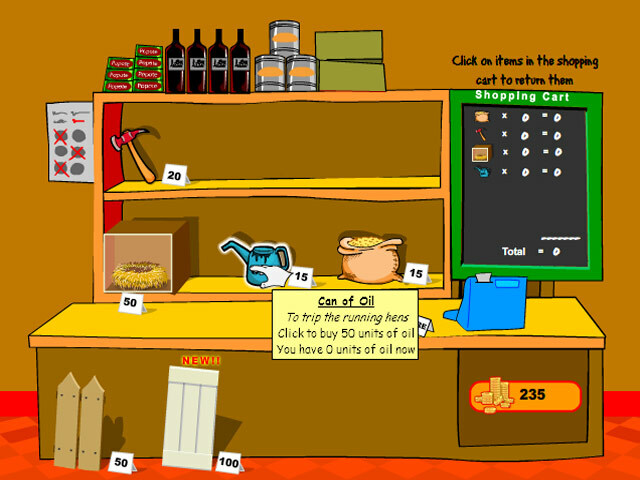 Join the chicken farming frenzy! 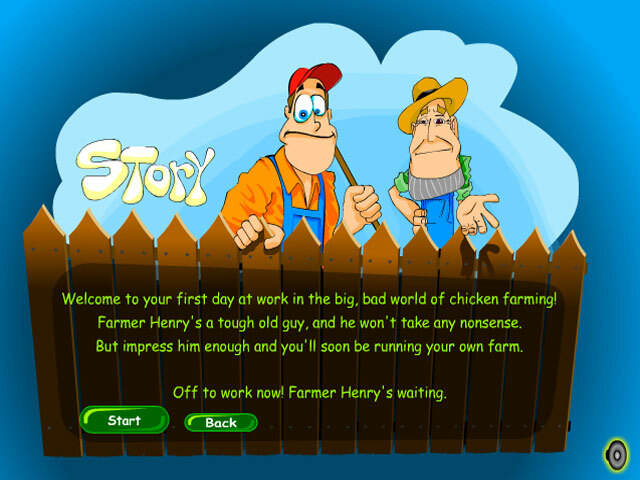 Help Farmer Henry make a mint in eggs with an assortment of restless hens and exciting items!Join the farming frenzy!Join the chicken farming frenzy! 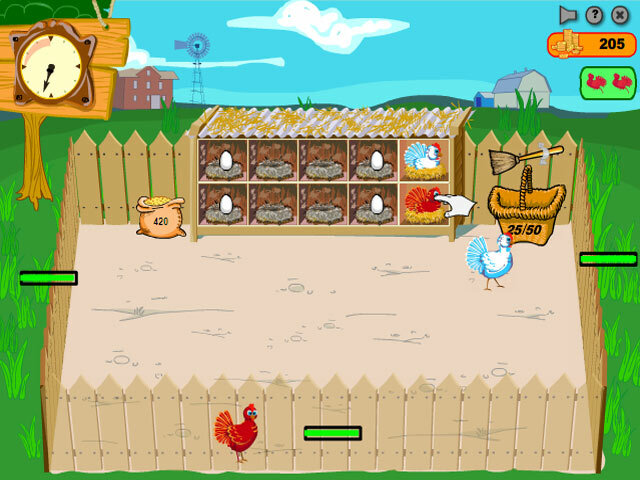 Help Farmer Henry make a mint in eggs with an assortment of restless hens and exciting items! Successfully manage the chicken yard and keep the farmer happy fulfilling your daily gold targets. 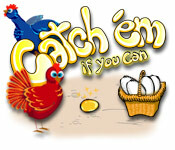 Battle increasingly flighty chickens with useful tools and thrilling power-ups!It's okay to put all your eggs in one basket with this exciting acrade game!